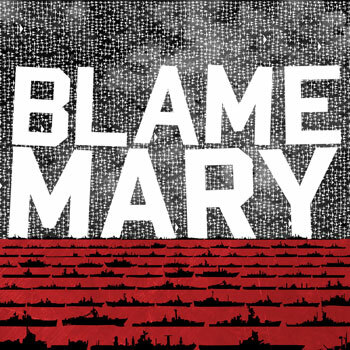 Blame Mary are an energetic garage punk rock trio out of Montreal Quebec. formed on March 10th, 2013 by members Josiah Toufexis, Marie Tilbe and Jon Cleveland. The band’s mission, from their one-sheet is, “about creating simple music that is raw and soulful, while keeping to a very basic set-up.” The statement seems to be accurate. The band’s self-titled debut EP came out at the end of January 2015. It consists of four tracks captured live at Dirty Church recording studio in Montreal. As the “garage punk” moniker would indicate the songs have a sense of raw urgency. There is clear intensity and an intentional lack of polish. Overall I like the effort, but on the next round I’d like to hear discrete tracking as opposed to the live capture. Not that I don’t dig raw and edgy, so much as I think there is some potential for a little bit of polish on the bands songs and sound. Not too much, but enough. Have a listen for yourself and see.